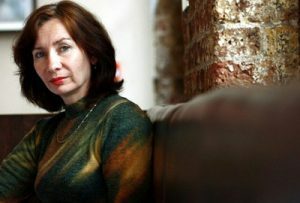 Natalia Estemirova, was a close friend and colleague of Anna Politkovskaya, as well as a courageous human rights defender and freelance journalist, who worked in Chechnya for the human rights organization, Memorial. Natalia was Anna’s most frequent companion during travel and investigations in Chechnya. They investigated a number of cases together – about which Anna wrote for Novaya Gazeta and Natalia wrote for Memorial’s website and for local newspapers. Originally trained as a historian, after university Natalia taught history in Chechen schools. Then in 1991 she became one of the leaders of a teachers’ strike demanding better pay and better conditions. During the armed conflict between the Russian Republics of Ingushetia and North Ossetia in 1992, Natalia helped bring refugees to safety and helped free hostages. During the first war in Chechnya, Natalia collected testimonies from civilians tortured by the Russian forces in unofficial detention facilities, the so-called “filtration camps”. On 15 July 2009, Natalia was kidnapped in Grozny and found shot dead in neighbouring Ingushetia. To this date, her killers and the ones who ordered her murder, remain unfound. The Chechen Government has faced huge criticism over its perceived failure to properly investigate her death. Natalia was a brave and courageous woman, who despite the threats on her life, continued to tell the truth and expose human rights abuses on both Russian and Chechen sides. “Grozny was a wasteland, physically, morally, psychologically. Ms. Estemirova was almost otherworldly. She inhabited a separate Chechnya, a region where dignity might prevail”. "On behalf of my sister Nobel Peace Laureates, Shirin Ebadi, Jody Williams, Betty Williams, Wangari Maathai and Rigoberta Menchu, I am honoured to support and attend the launch of ‘Reach All Women in War (RAW in WAR) Anna Politkovskaya Award and to present the lst Annual Anna Award to Natalia Estemirova. This Award will be presented each year to women human rights defenders from areas of war and conflict, and it will keep alive the spirit of Anna Politkovskaya, and acknowledge women from around the world, who are courageously working as human rights defenders. Anna was a seeker and a teller of truth. As a woman activist and journalist from Russia reporting from the war in Chechnya, her reports of atrocities against civilians in Chechnya, by both the Russian and Chechen authorities and her attempts to protect the victims of those wars and conflict, put her own life in danger. Tragically one year ago she was murdered and paid the ultimate price with her life, a risk she always was aware of. We call upon the Russia Government to bring to justice both those who murdered and those who ordered the murder of Anna, and in doing so we remember and give thanks for her life of courage and truthtelling in the face of grave danger. Anna is truly an inspiration and model for all journalists who, in an increasingly dangerous world for journalists, nevertheless maintain their professionalism and integrity. To such brave journalists we say ‘thank you’. I have pleasure in presenting the Anna Award to Natalia Estemirova from Chechnya. Natalia is a woman activist and journalist from the war in Chechnya. She was a good friend of Anna and worked alongside her in Chechnya, getting out the facts and truth of the Chechens’ death and suffering from violence and war. Natalia is a worthy recipient of this lst Anna award and we thank her for all she continues to do as a human rights defender in Chechnya and Russia. We pledge our ongoing support and solidarity with Natalia in her work. In remembering Anna and acknowledging Natalia we also remember another woman of courage, and Sister Nobel Peace Laureate, Daw Aung Sang Suu Kyi, currently in prison for her work for Human rights and Democracy in Burma. We call upon the Burmese/Myanmar Government, to release ASSK all political prisoners, and Buddhist monks, and open all inclusive dialogue in order to bring about a peaceful solution to the conflict. As you know I come from Northern Ireland, and we have resolved our own violent conflict, not through abuse of Human right, Militarism or Paramilitarism, but through all inclusive dialogue and negotiations. So too with Russia/Chechnya, and Burma/Myanmar, all these violent conflicts can be solved. I therefore believe the UN, HR Council, EU and other bodies, should play a role in pushing for National reconciliation Commissions to support peaceful transition to peace and democracy, in these ongoing deep conflicts, which are causing so much suffering to their peoples. "